The story behind this week's finish is a bit disheartening. I make a baby quilt for each IBMer on the DH's team when they have a new baby. 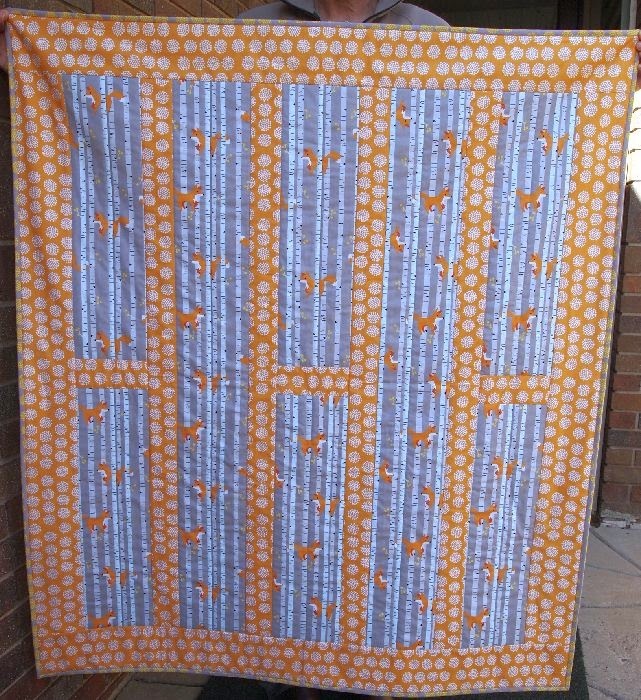 One quilt I mailed earlier this year went missing in the mail. First time I've ever had that happen! And of course, I had tossed the receipt so it couldn't be tracked. 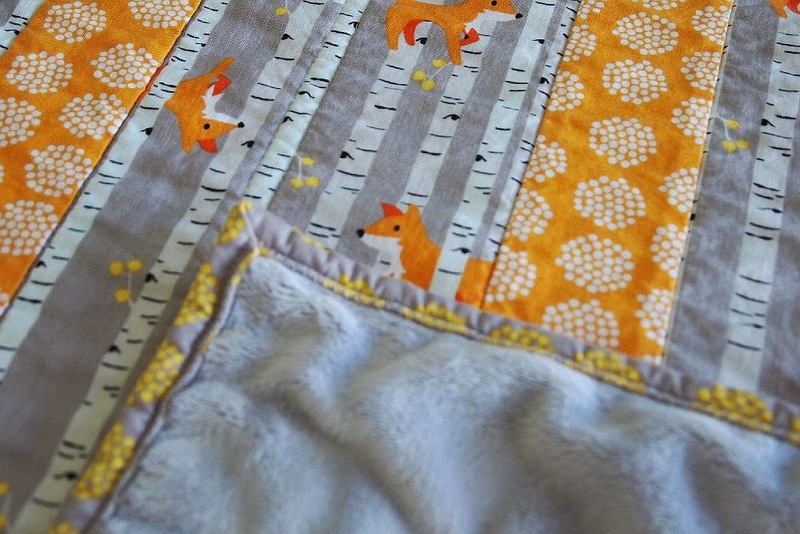 I bought a kit for a "Foxy" baby quilt at Nana's Quilt Cottage just before Christmas. It looked to be fast and easy, so I whipped it up to replace the missing quilt. The pattern is "joy" by Homegrown patterns for Villa Rosa Designs. 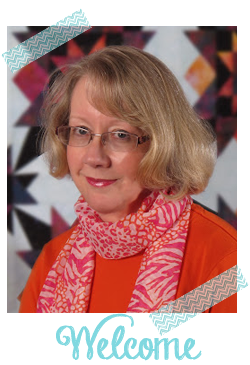 It only takes one yard each of the main fabric and the background. I used "Good Natured" by Marin Sutton for Riley Blake. The backing is a lovely, grey "Minky." My Mega Quilter is currently hiding out with the repair dude, so I quilted this on my Juki. Quilting a quilt with Minky backing is hard on the wrists. The Minky tends to "stick" to the machine bed, so it has to be held up with both hands and guided through the machine. I always wash baby quilts before I give them away, so the mama knows the quilt is machine washable. The Minky doesn't shrink as much as the cotton top of the quilt, but I think it turned out OK. I used a new binding method I'm calling "Jean's Genius Binding." Come back Tuesday to learn this clever new binding technique! I have had a quilt lost in the mail. I had to redo a Cynthia England PP squirrel. I love quilting but hate having to repeat something because the USPS messed up. I have had parcels turn up a few weeks or months late. It might just reappear.